Home renovation projects can be a lot of work. Whether you're changing up the furniture, the paint, one room, or multiple, it can be hard to know when you're making the right choices. Sometimes all you need is a little help to make sure that you're getting the best results for your projects, and there are a lot of apps that can do that for you. All of the following apps are free to use and can be used on either your smartphone device or computer whenever you feel the need to try something different. The first step to any good home renovation is inspiration. If you’re not set on a project yet, but you like to see all of the possibilities, then you should check out Handymobi. Similar to Pinterest, Handymobi allows you to share home improvement projects that you've completed with others through the app. You can browse hundreds of DIY projects that other people have done themselves and you can use it as inspiration for your next project, and discuss projects with other people through the app. For example, if you live in Las Vegas, and you want to construct a pool, then you can get in touch with other users and talk about swimming pool contractors Las Vegas and you can get an idea of who’s the best in the area and what it could cost you, all on the same app. That makes it a lot easier on you when you’re just getting started on a project. Sometimes you need a few tools or a helpful budget to help you along with your home project. While you may not always have something like that on hand, you usually have a phone with you in this day and age. That’s why apps like iHandy Level and DIY on a Budget exist, to give you that extra help when you need it. The iHandy Level app does basically what it sounds like, providing you with a level to make sure that anything you hang on a wall or set up is level. There’s nothing worse than thinking something is level only to have it be crooked or unable to hold anything you put on it. The level is actually part of the iHandy Carpenter app, which features multiple tools to use for these kinds of projects, but that one will cost you. And if you just need the level, there’s no better choice than iHandy to give you a hand. Another tool to help you out is DIY on a Budget, which is there to make sure that you get the best price for your project and that you don’t have to overpay. It’s still a fairly new app but it allows you to interact with other users to talk about all sorts of smaller DIY projects so that you can do them yourself and avoid hiring a contractor. By collaborating with others, you can get a plan figured out before you even spend a dime and scout around for the best deals on tools or materials near you. That’s an effective way to start you off just like Handymobi, although DIY on a Budget is catered more toward the sharing and discussion of DIY projects instead of simply inspiring others with the projects they’ve done. One of the hardest things about making a change to your home is knowing how the results will look when it’s finished. You don't want to commit to changing the paint or the furniture and find out that it doesn't work with the rest of the room. Sample paint swatches look nice most of the time, but how do you know it will look just as nice dominating your room? That's why there are apps like Paint Tester, which allow you to virtually “paint” your walls multiple colors to see what they'll look like before you buy the paint. You can even put paint swatches against the wall to paint it that color and visualize what it will look like before committing to it. That will keep you from buying a color you don't actually love and wasting money trying to paint over it again later. There are also apps to show you what new furniture will look like in your home. Houzz Interior Design Ideas is the most popular of these, as it uses a three-dimensional model of your room to virtually place furniture and see how it looks in your home. You can even use it to get help with backyard projects as well, not just the interior ones. In addition, you can buy any pieces that you like right off the app or off their website, so if you decide that you like what you see, it's not a hassle to get it. And like testing your paint colors first, it will save you a lot of time and effort if you know that you like the pieces before you buy them. You can even use apps to hire a contractor for your renovation project. While it’s true that DIY projects have a certain accomplishment aspect to them, sometimes you just need a professional to make sure it gets done right. 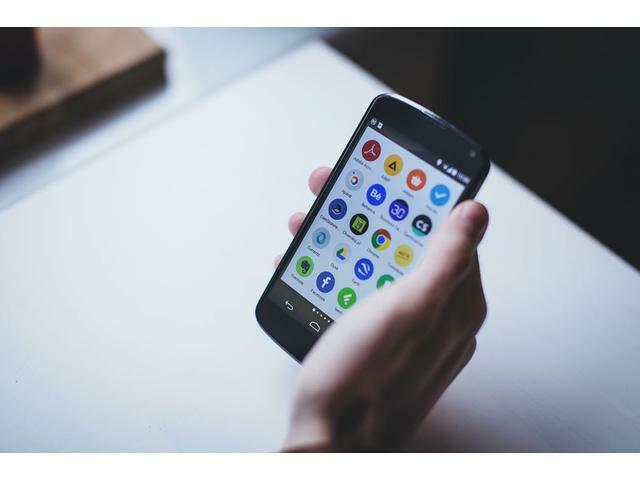 Big renovation services like Home Advisor or Angie's List have their own mobile apps, which are a good option for you if you’re a fan of their services. However, there are a few other apps that you can use which may be better suited to what you need. Thumbtack is one of those, which is designed to pair you with local contractors for a variety of services. You can browse the most popular home improvement projects in their database, which includes so much more than just renovating. You can find someone to pressure wash your house or perform lawn maintenance too. To find the project or service you want, all you have to do is search for it and you’ll be able to choose from some of the contractors in your area. It’s really that simple. Blog has been viewed (88) times.